The post Jean Streets – Perfecting the Canadian Tuxedo Look with Gold Bling appeared first on We Love...Bijoux. I just came across this editorial on Pinterest and felt that it needed to be shared. I admit that it's a year and half old (November 2013, to be exact) but I still feel like it's relevant with the current "Canadian Tuxedo" trend. For those of you who are not aware of what that signifies (like moi - I just learned of it this spring!) - it's wearing denim head-to-toe. 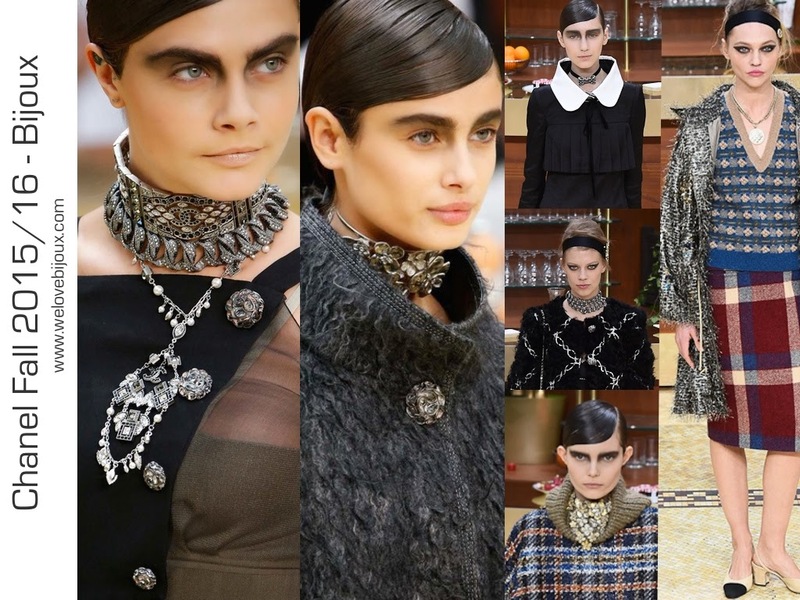 The post Making a Statement with Jewelry is all we really Want – Paris Fashion Week Fall 2015/16 delivers – Chanel, Miu Miu, Vionnet etc… appeared first on We Love...Bijoux.